Smith, P.c.. "Cape Race". The Canadian Encyclopedia, 04 March 2015, Historica Canada. 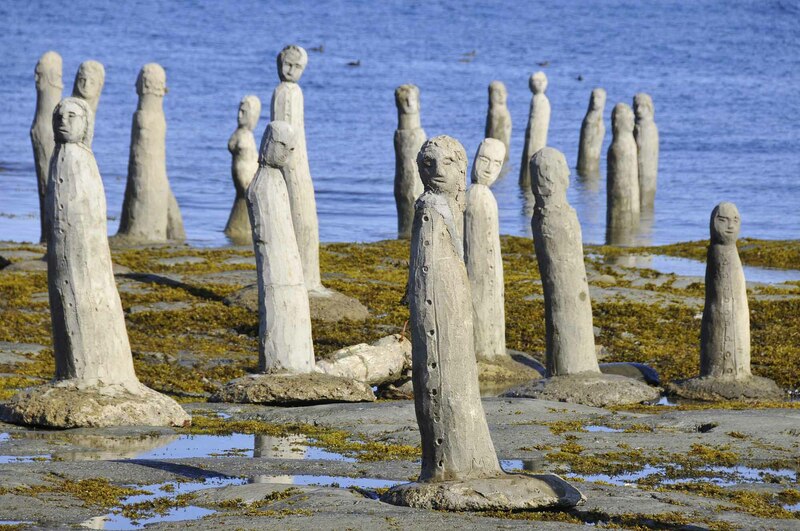 https://www.thecanadianencyclopedia.ca/en/article/cape-race. Accessed 24 April 2019. The Cape Race lighthouse was built in 1906-07 and once had a massive optic emitting a one million candle power flash (courtesy Parks Canada). 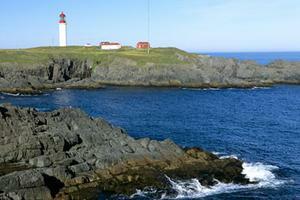 Cape Race, elevation 30-40 m, is the southeastern extremity of Newfoundland's AVALON PENINSULA. Named for its flat-topped (Portuguese, raso) cliffs, it has a barren appearance that creates a stark impression for transatlantic passengers arriving in Canada by sea. A lighthouse was first built on the cape in 1856 and was replaced in 1907. The original lighthouse is now located in the CANADA SCIENCE AND TECHNOLOGY MUSEUM and in 1974 the site of the lighthouse became a national historic site. The cape is the site of a powerful transmitter for the Loran C navigation system, an important aid to mariners who are far off shore. Icebergs may be seen in the waters off the cape from March to July.